This complete guide will give you all of the information you need to decide when the best time to visit to Japan is for you. 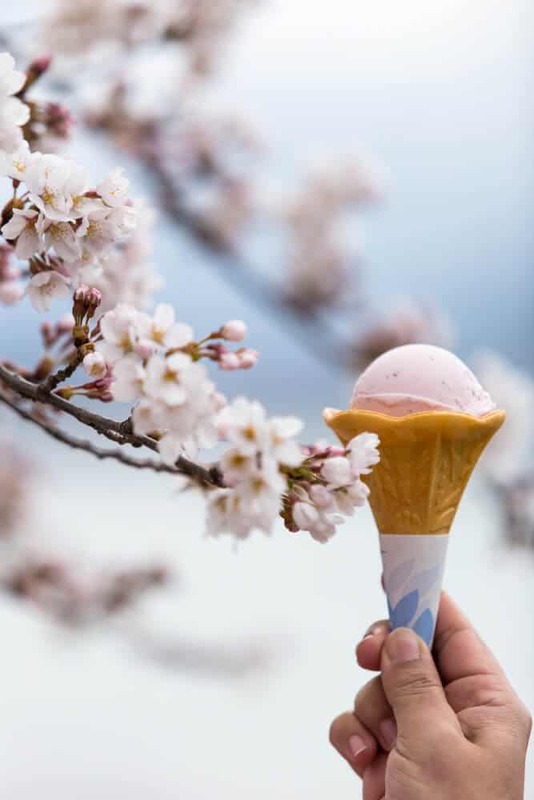 We’ll take a look at the pros and cons of visiting Japan in certain seasons, and other factors (such as cost, weather, crowds and seasonal cuisine) which might influence your choice. 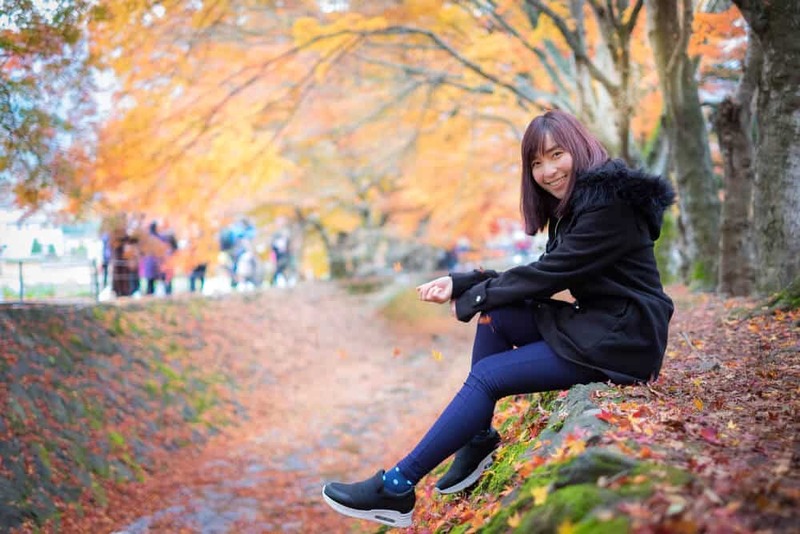 With so many season-specific attractions and events (such as cherry blossom viewing, hiking Mt. 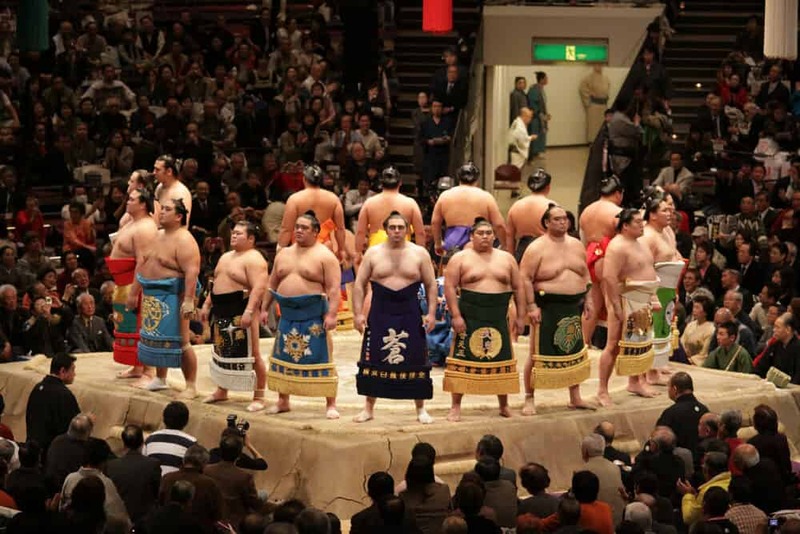 Fuji and attending vibrant festivals) the question of when to visit needs careful consideration by potential travelers. 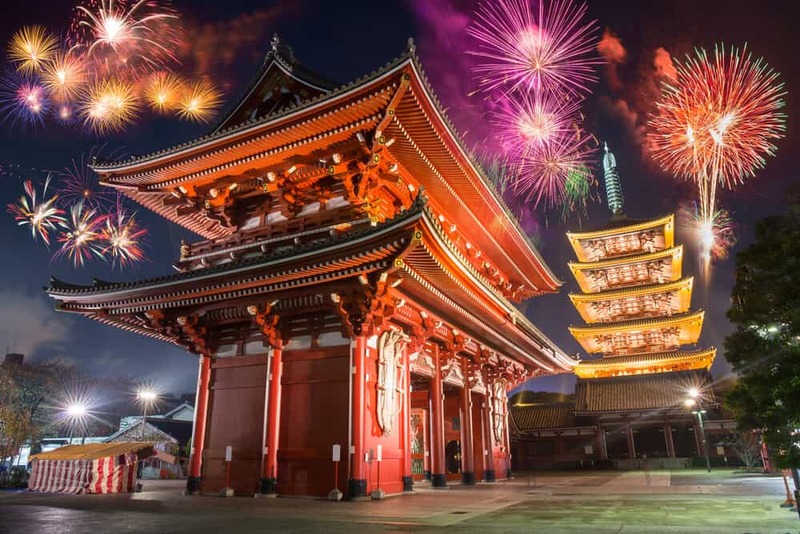 Rated as one of the top ten countries in the world for tourism by the Travel and Tourism Competitiveness Report, Japan outranked all other countries in Asia. With all of it’s beautiful nature, technology, bright lights, and amazing food, Japan is a must-visit country. 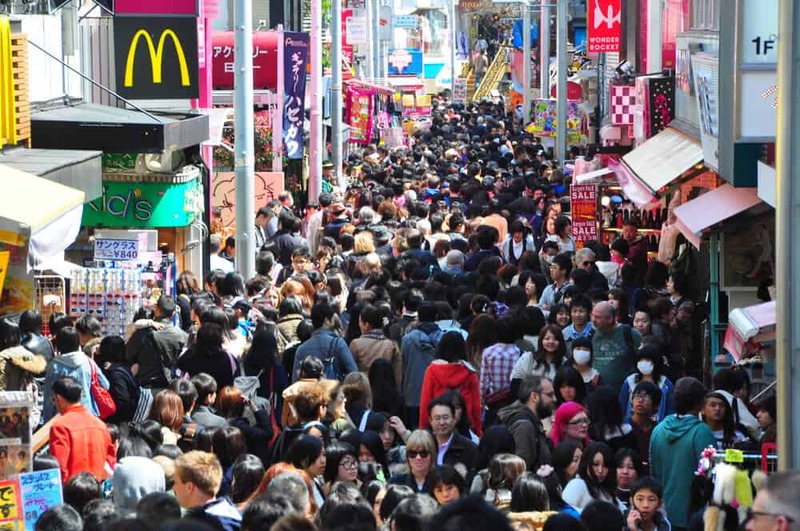 The numbers of foreign visitors to Japan has more than tripled in the last fifteen years, with nearly 20 million international tourists visiting in 2015. So what are you waiting for? Use this guide and plan your next trip to Japan! 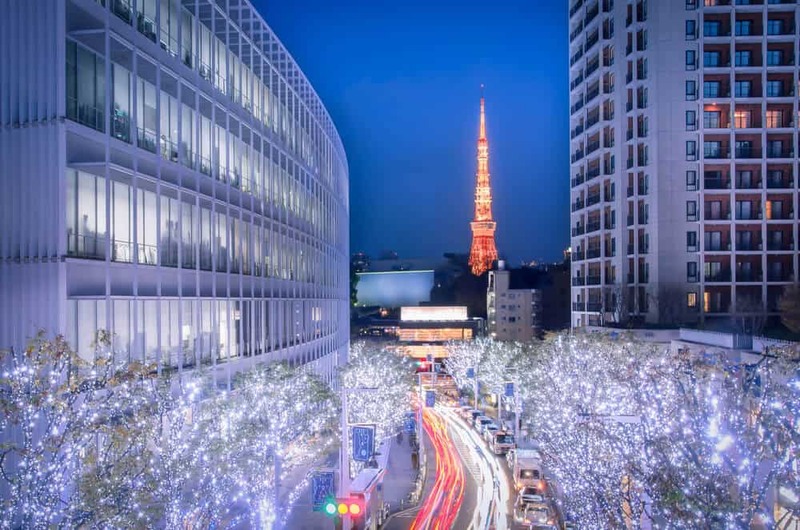 One of the major points to consider when choosing when to visit Japan is the season. 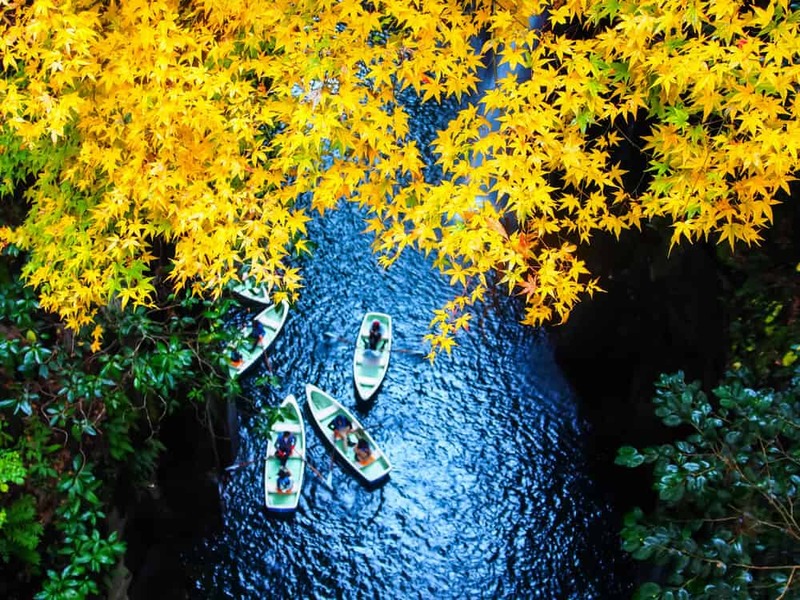 Japan is a country with plenty of natural beauty, and if there are certain events that you want to catch, you’ll have to visit at the right time. When summers or winters are unexpectedly cold or hot, this can affect seasonal changes that bring the autumn leaves or the blooming of the cherry blossoms, sometimes by as much as several weeks. If you’re booking flights months in advance, this can be a risky element to your trip. If there are certain events that you just have to see, I recommend coming to Japan for as long as possible to give yourself a good window in which to catch it. But however long you visit for, the season is of key importance. Let’s take a look at each season in detail to see which time of year is best for you. 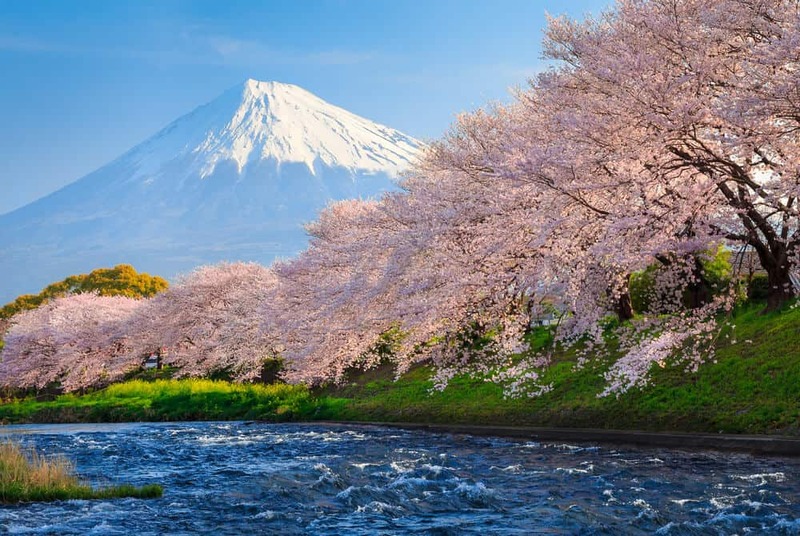 Springtime (March – May) is usually dubbed as the best time to visit Japan. However, there are pros and cons, and a lot of it depends on which part of the country you are visiting. Because Japan doesn’t look very big on the map, people often forget how big it is. As Japan is fairly long, the north and the south rarely experience the same sorts of weather at the same time. The north of Japan is often cold and snowy for about half the year, while the southern-most point is warm and tropical, and everything in between is a mix of the two. So saying whether a certain time of year is either cold or warm in Japan isn’t a cut and dried answer. However, it is fairly universally held that spring is a nice time throughout all of Japan. The weather is quite mild at both ends, with warm days and evenings that verge on chilly. You’ll need a warm sweater and jacket to visit Hokkaido at this time of year, but in the south, you could easily go out in a light sweater or even a t-shirt and shorts during the daytime. Depending on where you are, spring can be a difficult season to dress for – in early spring, even if the day starts out warm it can soon turn cold once the sun goes down. The spring seasons usually starts off dry, but often ends on a rainy note after the cherry blossom season. Looking at three major cities, average temperatures in spring get steadily warmer throughout the season. Regarding attractions, the biggest draw for visitors in spring is the cherry blossom viewing. These delicate flowers are in full bloom for only one week, and it is often hard to predict exactly when they’ll start to bloom. 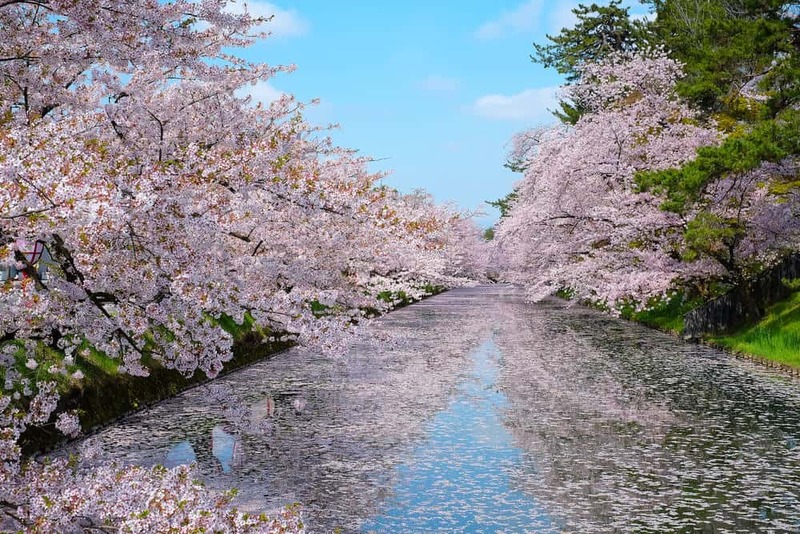 One thing is for sure: you can chase the blossoms all the way up through the country from the south to the north – the warmer weather in Kyushu means that they get the cherry blossoms first, and it can be several weeks before the same flowers bloom up in Hokkaido. Check the annual cherry blossom forecast to see when the experts predict that they’ll bloom. Other good reasons to visit in springtime include the festivals of the season. There are many popular and unusual festivals at this time of year, including the Aso Fire Festival (March), the Kamakura Festival (April), Children’s Day (May 5th), the vibrant Hakata Dontaku Festival in Fukuoka (May 3rd and 4th), the Hamamatsu Kite Flying Festival (May 3rd – 5th), and Honbasho – The Great Sumo Tournament (May – although sumo tournaments are held year-round). 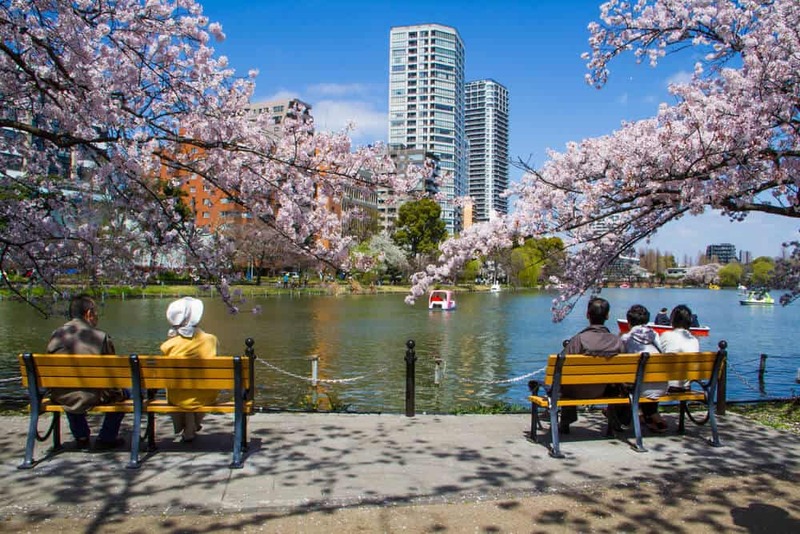 Golden Week is also in the spring, and is one of the worst times to visit Japan as an international tourist because this is the time of year when Japanese tourists are also flitting all over the country. Seasonal cuisine in Japan is not so exciting in spring as it is in other seasons. One of the main things you see a lot at this time of year are “picnic bentos” in the supermarkets, where you can buy a platter of snacks and salads to share when you go viewing cherry blossoms with friends and family. Of course, there are dozens of cherry blossom flavored goodies, such as sakura ice-cream and sakura Kit-Kat chocolate bars. As well as cherry blossoms, the plum blossoms are also in season, and you can get sour pickled ume (plum) to snack on, as well as ume flavored potato chips and other treats. Bamboo shoots are popular at this time of year, as are strawberries. 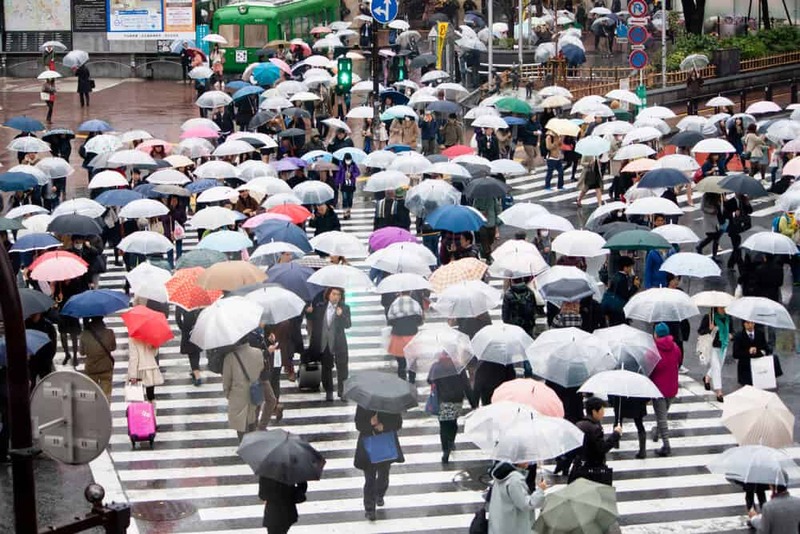 While spring is popularly thought of as the best time to visit Japan, it certainly has its downsides too. 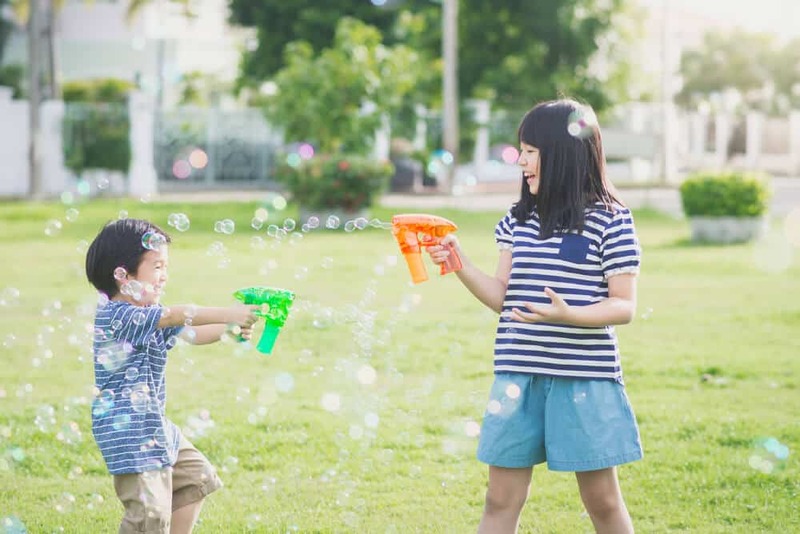 Firstly, the Golden Week holiday is a nightmare time to travel – attractions are crowded, accommodation books out fast and often costs more, and travel becomes more difficult too. The weather can be unpredictable, and the beauty of the cherry blossoms can be cut short by an early rain. However, despite this, it still remains a favorite time to visit. The weather at this time of year is milder and less extreme than the boiling hot summer and cold winter, and while it can be rainy, it’s usually not too intense. 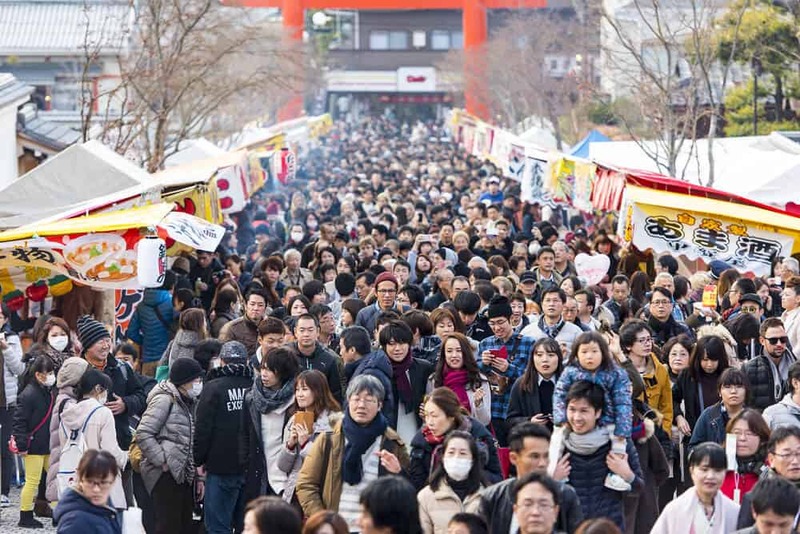 Festivals are popular in the spring season and, after the winter, people tend to be in a good mood at this time of year. Another thing to take into consideration is that the spring season also brings about allergies for certain people. Drifting pollen from Cryptomeria and Japanese cypress trees often peak during the spring season. If you have hay fever or are prone to allergies from pollen, the spring season in Japan may aggravate your symptoms. The end of March is when most public schools start their vacation, which results in more travel among Japanese locals. However, Golden Week (usually the end of April to the first week of May) is crazy busy. Summertime in Japan (June – August) is one of those times that some people love and some people hate. This depends on where you come from and the climate you are used to. Japan rarely sees extreme temperatures in the summer, but with the high humidity, it makes walking or even standing outside uncomfortable. Temperatures over 34°C (93°F) is rare but does happen occasionally, with the highest recorded temperature in Japan reaching over 40°C (104°F). However, if you come from somewhere mild, even the high 20’s can seem unbearable with the very high humidity. If you don’t deal with heat well, this is something to consider seriously. As well as the heat, the weather is not perfect at this time of year. Early summer (June) is usually when the rainy season starts – this is the time when rice farmers do lots of their planting and is a busy time of year for agriculture. However, for tourists, it isn’t ideal to go sightseeing in the rain day after day for weeks on end. Once the rain stops, you’re blasted with the full heat of summer before typhoon season hits. Typhoons that actually hit and do damage are not so common in Japan – just a few major ones tend to hit annually. However, there have been more in recent years. The days after a typhoon are called taifu ikka, which refers to the good weather which you see after a typhoon has passed. In terms of temperatures, the south of Japan sees the hottest summers while it is relatively cool up in the north. Activities like hiking and camping are popular at this time of year as a way to escape the heat. Tokyo: Average temperatures for summer see lows of 19°C (66°F), going up to 31°C (88°F) by the end of August. Kyoto: Lows of 19°C (66°F) and highs of 33°C (91°F) in August. Sapporo: Lows are around 13°C (55°F) while the highest temperatures peak at a pleasant 26°C (79°F). Warmer temperatures are common in the south. This is t-shirt weather through and through! Don’t forget your hat and sunglasses during these seasons, though of course you can also pick up any seasonal accessories you need at any of the 100 yen shops around the country. Synonymous with summer in Japan is the wearing of yukata. 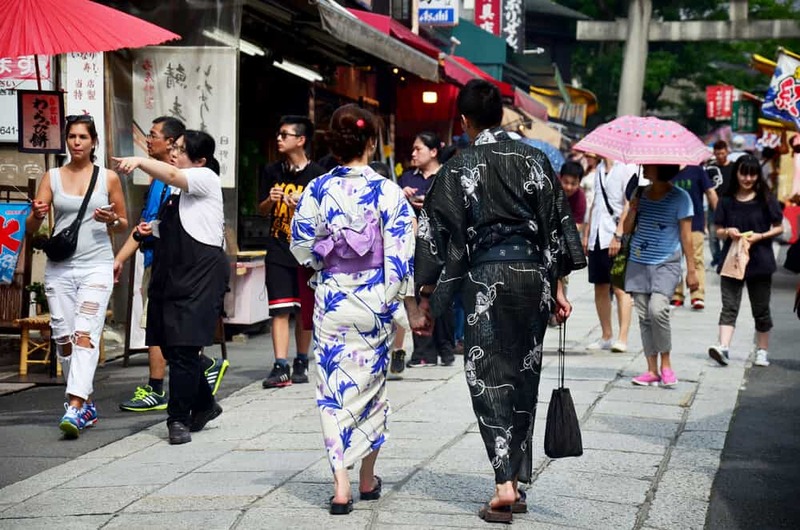 Unlike kimonos (which are bulky, cumbersome and fairly uncomfortable) a yukata is basically like a Japanese dressing gown made of light cotton, and is comfy to wear when it is hot out. Whether or not you’re interested in trying out the Japanese summer clothing styles, you absolutely must get yourself a traditional summer handkerchief. Most Japanese people have one of these little rags stuffed into their pocket or handbag the whole year through, but they are particularly useful in summer when you sweat profusely and need to wipe your face every five minutes. You can get cheap handkerchiefs in many shops in Japan (even supermarkets and convenience stores), but there are also specialist shops where you can purchase beautiful handkerchiefs in traditional designs, and even get your name embroidered on them. These make excellent souvenirs and are a lovely gift item too. Visiting an onsen town and trying out the hot springs may not sound like the best way to get through the hot summer days, but it’s a popular way to spend the summer, and you can often see visitors wearing simple patterned yukata as they lazily stroll between the baths. 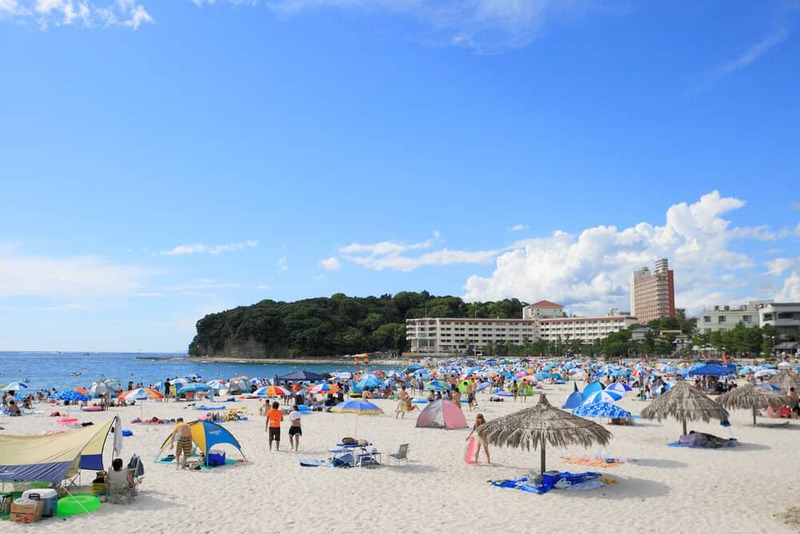 As well as visiting hot springs and going hiking, other popular pastimes in this season include visiting the beach (though watch out during jellyfish season) and of course attending the seasonal festivals. Fireworks play a heavy part in the summer celebrations, and you can see displays all around the country when the weather gets warmer. Hiking Mt. Fuji is also another popular event in the summer. While the official hiking season for Mt. Fuji is from July – mid September, try to shoot for late August or early September. Going during the latter part of summer ensures that all of the snow on the top of Mt. Fuji will be melted. It also will be a little warmer, which you want. While you may sweat and feel hot in the beginning, it will be very cold when you reach the top. So prepare accordingly. Top festivals include Osaka’s Rice Planting Festival (June 14th), Fukuoka’s spectacular Hakata Gion Yamakasa Festival (July 1st – 15th), Osaka’s Tenjin Festival (July 24th and 25th), Hiroshima’s Peace Memorial Ceremony (August 6th), the Yamaga Lantern Festival (August 15th and 16th) and Kyoto’s Daimonji Bonfire Festival (August 16th). Like spring, summertime in Japan is also made difficult for travelers by a long national holiday. Obon (mid-August event to pay respects to your ancestors) takes place during the best part of the summer and is one of the busiest, most expensive times of the year to travel. Even the bullet trains can get so crowded that there isn’t even room to stand (picture a can of sardines, but with people). June is the rainy season, so if you plan on doing a lot of outdoor activities, you need to plan ahead and be prepared for possible rain. As for food, the hot weather may cause you to lose your appetite, but there are plenty of refreshing snacks which have been tailor made for this season. Cold somen noodles are a popular dish – after being cooked, they are plunged into icy water and served with cold vegetables and refreshing sauce. It doesn’t sound appetizing but, trust me, it does the trick! Also, what with all the festivals that take place during the summer, this is the perfect time to try out some typical Japanese street food and snacks which you can buy at food stalls. Yakitori (grilled meat on a stick), okonomiyaki (“Japanese pizza”), takoyaki (octopus balls) and fried squid are all top choices and available all over the place. If you fancy something sweet, try out kakigori – shaved ice flavored with toxic-looking flavorings and a dollop of condensed milk. This is popular with kids and good to try once but, to be honest, you’re better off just getting a regular ice-cream from a convenience store unless you’re really in the mood for a snow cone. 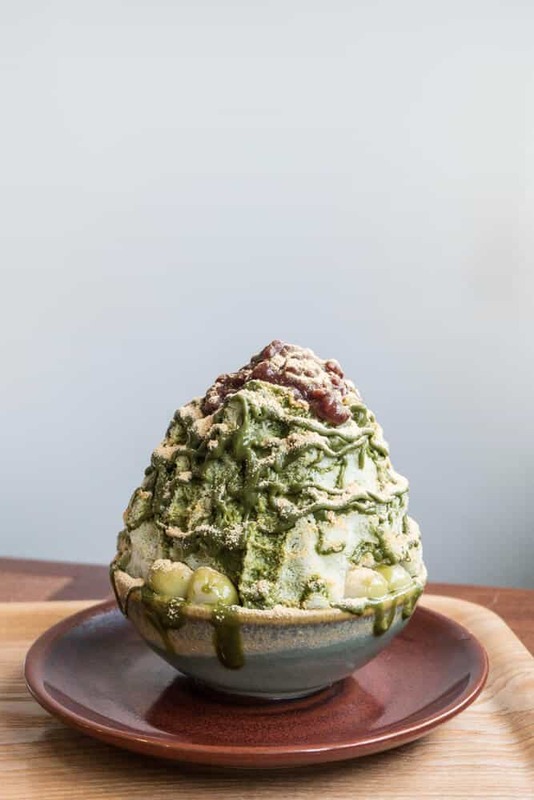 Ice cream products in Japan are awesome, and there are great local choices to try such as green tea flavored ice cream, and of course yukimi daifuku – balls of ice-cream which are nestled inside a skin of chewy mochi (aka, mochi ice cream). 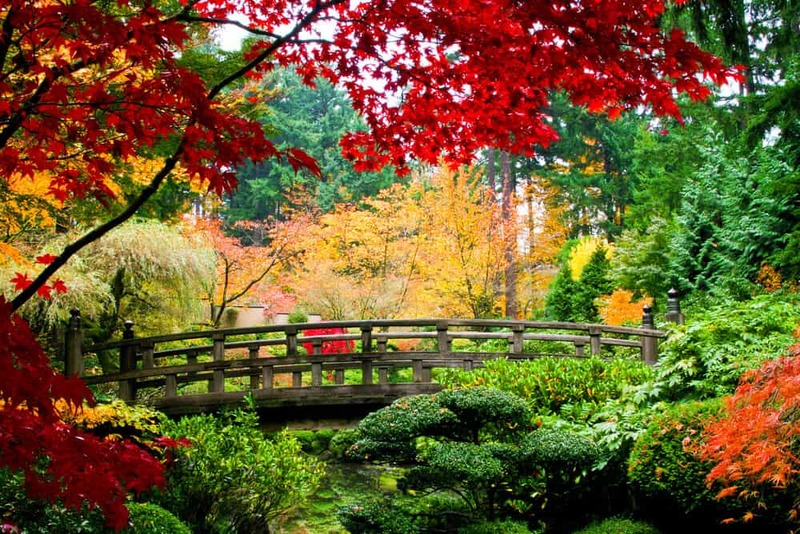 The fall in Japan (Mid-September – November) is my personal favorite season in this beautiful country. Like spring, fall is a time when you can enjoy milder temperatures that are a great mid-point between the harsh heat of summer and the cold bite of winter. Typhoon season creeps into the first part of the fall but is usually over by mid/late September. After that, the weather is usually nice until winter, with relatively little rain at this time of year. 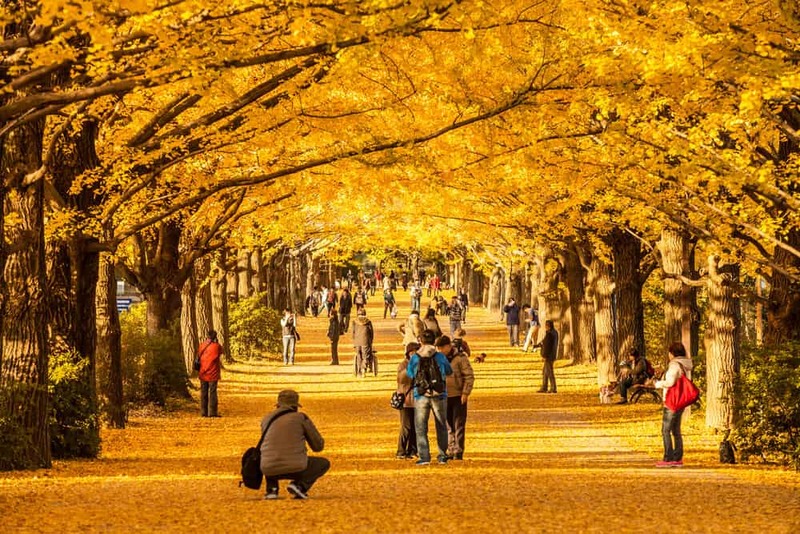 Fall in Japan is a wonderful time to enjoy the great outdoors. Temperatures in the fall are still hot and summery during September, but cool down to warmer temperatures in October and November. Kyoto: Temperatures start at 20°C (68°F) to 28°C (82°F), and then the season ends with temperatures of 8 – 17°C (46 – 63°F). As for clothing, at the start of the season you’ll still be in summer-wear, but by the end of November it’ll be long-sleeved t-shirts and lightweight jackets, or something much warmer if you’re up in the north. Both spring and fall have cooler temperatures and amazing, beautiful nature which is the main reason to visit at this time. Spring has the cherry blossoms, and fall has breathtaking autumn colors when the leaves on the trees start to change. Maple and ginkgo trees are amongst the best for leaf viewing, with mustardy yellows and vibrant reds painting entire hillsides. 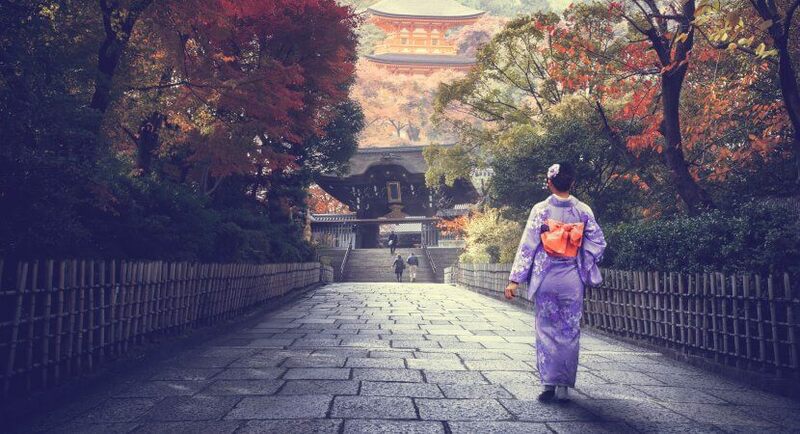 Nowhere in the world does fall quite like Japan. If you have the chance to visit somewhere away from the big cities, up in the hills and away from it all, these are the spots where autumn leaves are most majestic. An hour outside of Tokyo, Hakone is my personal favorite place for viewing autumn leaves. 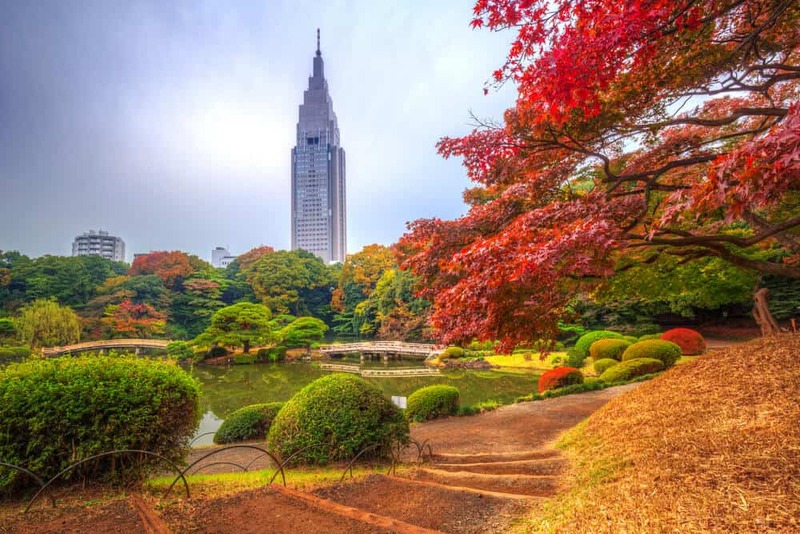 Unlike the cherry blossoms, this change takes place from the top down, with leaves changing color in the north of Japan during mid-September, and finishing up in the south of Kyushu around mid-December. Like the cherry blossoms, it can be hard to predict exactly, but you can research the official autumn leaf forecast for updates nearer the time. Aside from the autumnal leaves, there are other events to enjoy. 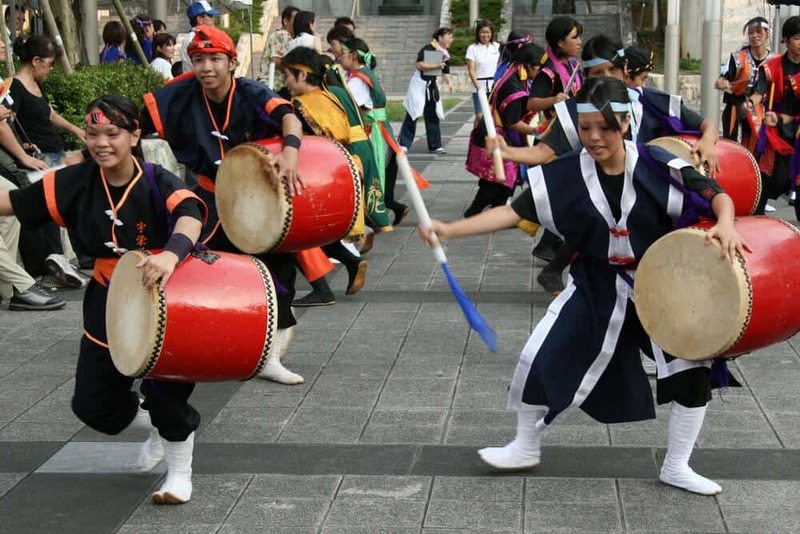 There are some regional and small festivals to enjoy during your trip. 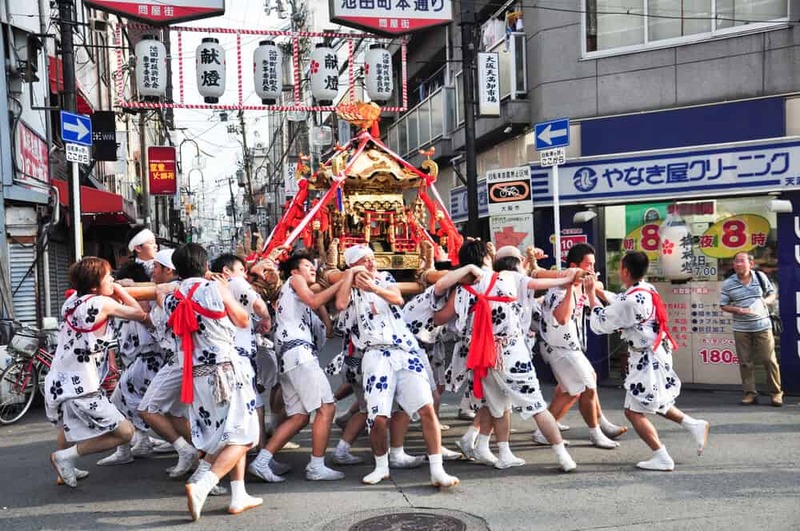 There is the Kumamoto Horse Festival (September), Okinawa’s Paantu Punaha Mud Festival (early September), the Naha Festival (October 10th) and the Nagasaki Kunchi Festival (October 7th – 9th). 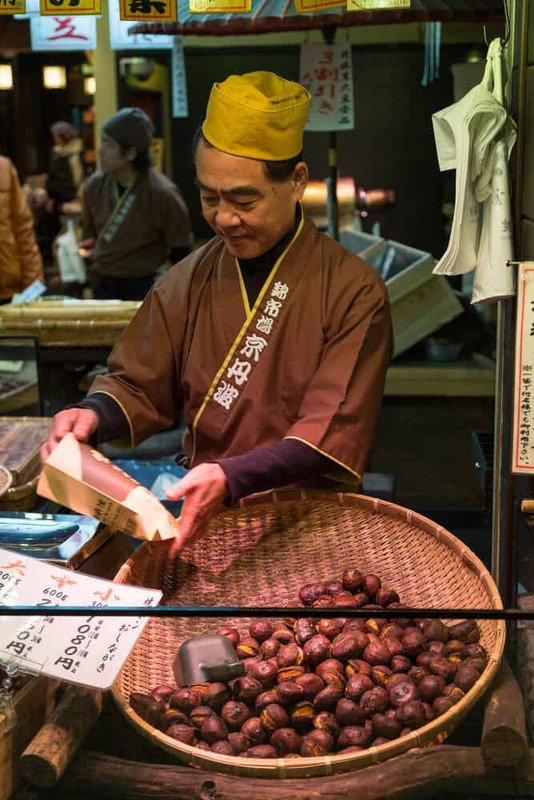 While Japan may not have much going on in terms of festivals in the fall, it is certainly a peak time to visit in terms of cuisine. There are lots of delicious vegetables and fruits which are in season during the fall. Many of them are featured on restaurant menus, and you can also pick them up fairly cheaply from local markets. Sweet potatoes, taro, pumpkin, and mushrooms are all popular vegetables in the fall. You can buy yaki imo (baked sweet potatoes) from roadside stalls – a great and healthy snack for when the weather is getting colder. Citrus fruits are available all year round in Japan. In the fall, the citrus fruit of choice is sudachi – it looks like a cross between an orange and a lime, and tends to be easy to peel with thin skin. However, this fruit is not really eaten straight, as it is just as sour as a lemon or lime. It is more commonly used to flavor foods. Chestnuts are also popular in the fall, and can be found roasted or used in a variety of desserts. Weather in October – November can be unpredictable. It can be hot one day, and cold the next. Wintertime in Japan (December – February) is cold across the board, with similar temperatures throughout the three months of winter. Snow in Japan is common in the north but not so common down south, though it does happen from time to time. The weather tends to be good at this time of year – cold, but crisp and dry, with little to no rain at all. You’ll need to dress warmly in these seasons, and the weather can be deceptive so be prepared. During the Christmas holiday in the winter of 2016, daytime temperatures jumped from 4°C (39°F) to 19°C (66°F) with just a few days in between – so even if the weather looks like it’s going to be warmer than usual, it probably won’t last, so be prepared with hats, gloves and other accessories. The most well-known festival of the season is the Sapporo Snow Festival which runs for a week every February (usually early February). Roughly two million people attend the festival each year, where you can see ice sculptures and snow statues, many of which have been built by local residents. 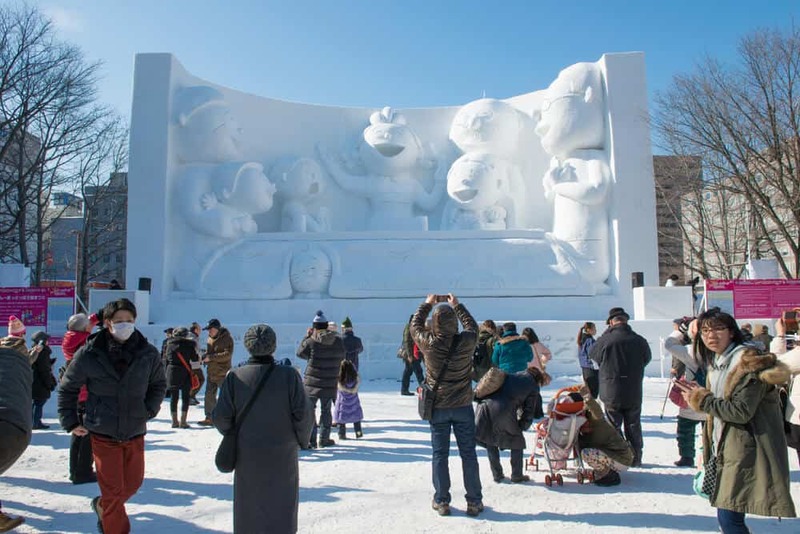 Each year around 400 statues are built – a far cry from the first ever Sapporo Snow Festival in 1950 where six high school students built six snow statues in the city park. The exquisite statues often depict a celebrity, or something popular from the previous year. Illuminations bring the whole place to life at night. Other festivals include New Year celebrations across the country (January), the Naked Festival at Okayama (February), the Nara Lantern Festival (February 3rd) and the Yokote Kamakura Snow Festival (February 15th and 16th). 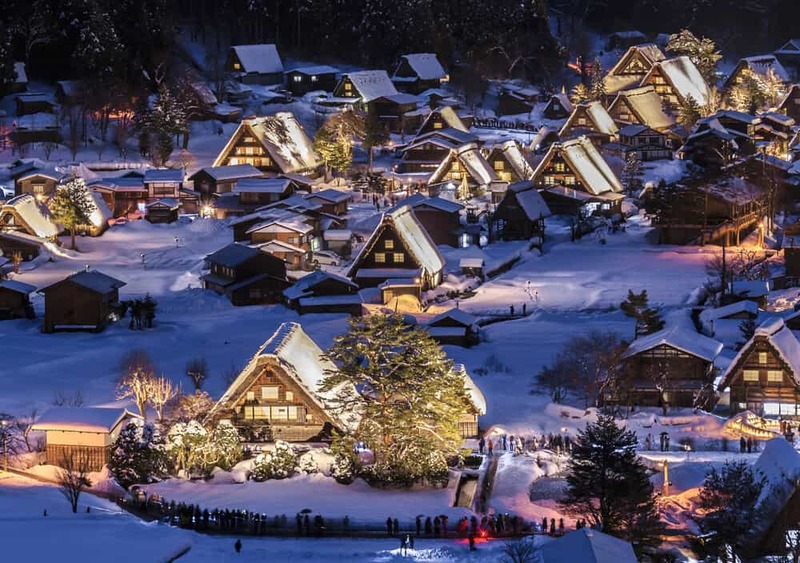 Another photo-worthy event is a the farmhouses at Shirakawago and Gokayama, both of which are UNESCO world heritage sites. These “Gassho-zukuri” (literally, build like hands in prayer) look like they came straight out of a fairy tale. The heavy snow gathered on the roofs of the houses in winter makes them look even more amazing. A few days each year (usually on select days in January and February) they have a special “lite-up” event, where the houses are illuminated. While the weather is freezing, the houses look absolutely magical, and are worth a visit if you have the time. New Years Eve is a more reserved celebration than in other countries. In Japan the focus is more on New Years Day which is typically a family time. Food in winter is typically warming and hearty, as one might expect from the weather. 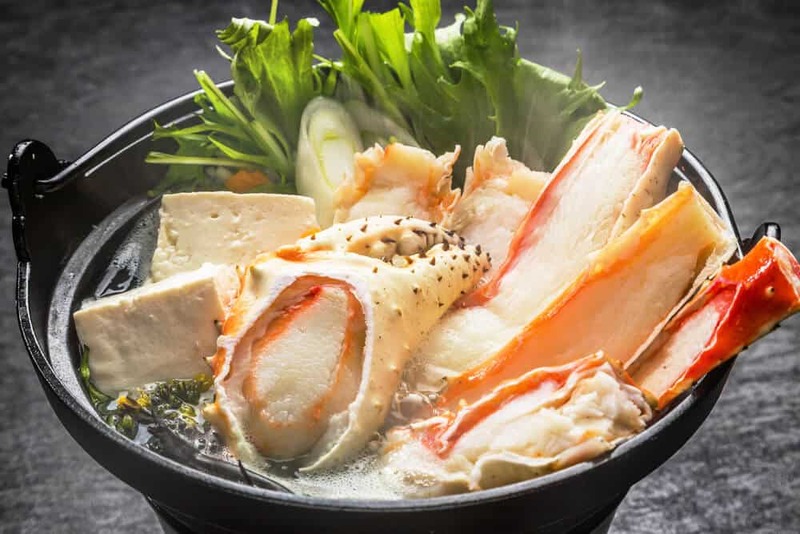 Hot pots (known as nabe) are a popular dish, and there are many nabe restaurants where the food cooks in front of you – use your chopsticks to take what you want when it’s ready. This is a great meal to have with friends around a big table. Popular winter vegetables are the giant Japanese radish and lotus root, which can be prepared in a variety of ways. The famously poisonous fugu (puffer fish) is often eaten in winter, and the citrus fruits of the season are mikan (mandarin oranges) and yuzu (like a cross between a lemon and a grapefruit). Tofu is also popular in winter and you can usually see some creamy white chunks of it floating around when you order hot pot. For seafood fans, winter is when crabs are in season, and taste the best. 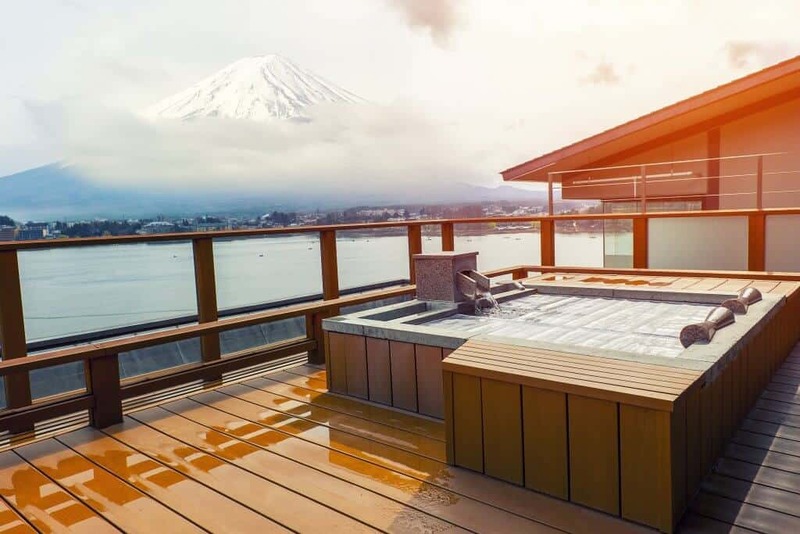 Aside from seasonal events and changes in the weather and temperature, there are other points to consider when choosing the best time for your trip to Japan. Cost is often a major factor for travelers, particularly if you’re hoping to travel cheaply. 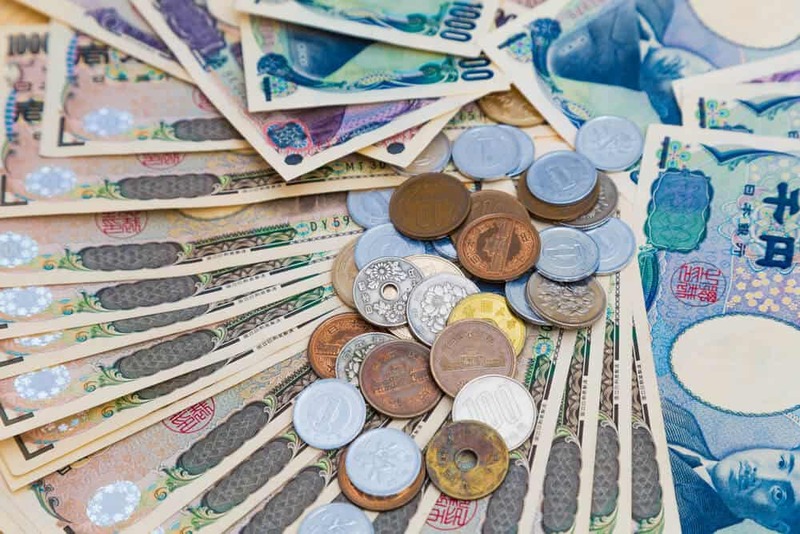 While Japan is a fairly cheap place to be a tourist (with good deals in restaurants and supermarkets, as well as reasonable entry fees to attractions) getting around can be expensive as the public transport is so costly, and accommodation prices rocket during the peak seasons. As well as cost, there are certain times of the year when traveling in Japan is bound to be a nightmare. Working life can be pretty rubbish in Japan, mainly because of the tiny amounts of holiday given to workers and the fact that everyone has to take their vacation at the same time – making life difficult for foreign tourists too. Let’s take a look at some of these issues which you need to consider when planning a trip to Japan. Peak seasons should be avoided altogether if you can help it. Silver week is certainly less crazy than the other two holidays but has been gaining popularity in recent years. These three times are when, basically, all of Japan goes on holiday. What this means is that trains and buses are usually booked solid. If you try to take a train using an unreserved ticket (no seat assignment), you’ll face big queues and long waits. And the possibility of you having to stand the whole way is very possible. Also, attractions are crowded, and this can ruin the point of visiting it in the first place. Accommodation books out way in advance or raises its prices, and restaurants book out or have long waits– the whole experience is basically crowded, expensive and stressful. Trust me, any other time of year is preferable! Other times of the year which can be problematic are New Years (but not because attractions are crowded – New Years is a family time, so public transport is often busy because people are traveling to see their family, and also many restaurants and attractions close for several days over the New Year period). The summer vacation when children are off from school (late July to September) can also be a busy time to travel. Like everywhere in the world, Saturdays and Sundays are often crowded and public transport can be cramped, and restaurants often offer certain deals which are only available during a weekday. A few attractions close their doors on Mondays, so if it is possible, try to plan your trip to arrive on a Monday night or a Tuesday, and then leave Japan (a few weeks later!) on a Friday. 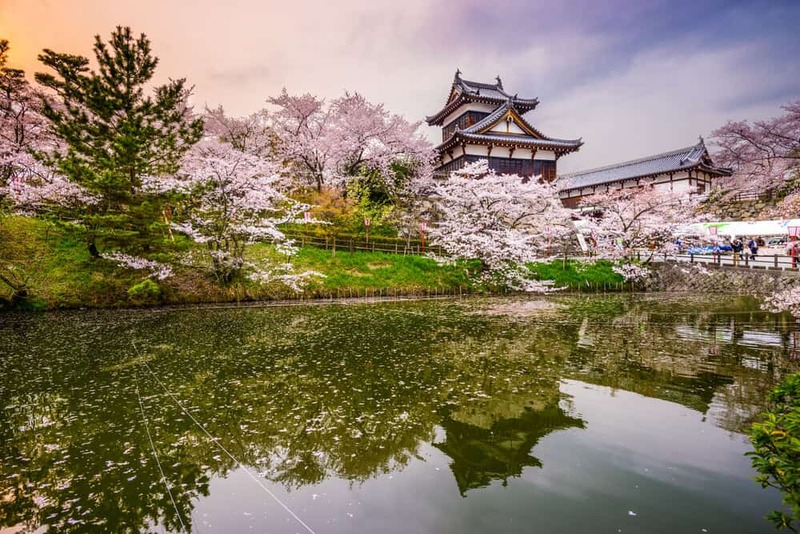 Perhaps you’re planning a trip to Japan especially for one of the popular events, such as viewing the cherry blossoms or the changing of the autumn leaves. These things are not to be missed, but also come with a price-tag as places tend to up their prices during these seasons. If you can’t avoid visiting during a peak season, plan your trip as early in advance as you can and try to choose cheaper, local accommodation over these periods. Traditional ryokans (Japanese inns) raise their prices too, but can still be the cheaper option. 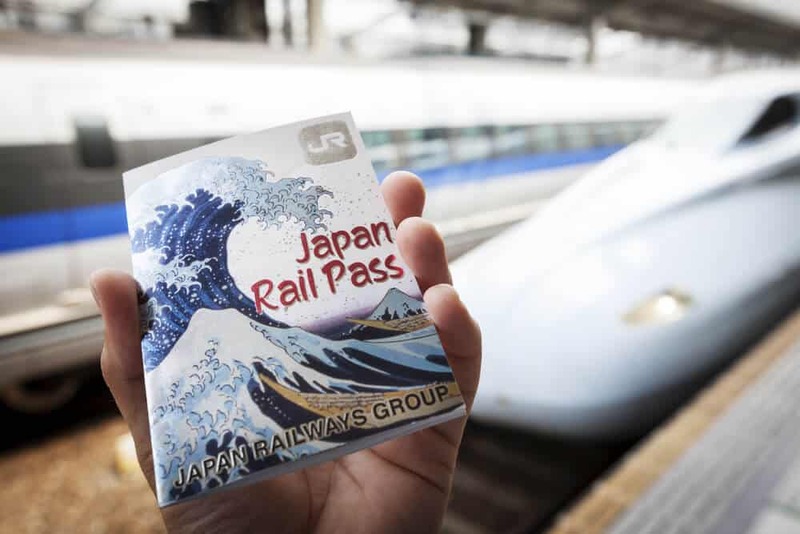 Depending on which regions you want to visit, one way to save money is with a Japan Rail Pass. This can’t be bought in Japan– it’s only for foreign tourists and so you’ll need to order one in advance. The pass is expensive, but way cheaper than buying individual tickets in Japan (train travel is very expensive). If you plan to be darting all around the country and doing a lot of traveling outside of big cities, the rail pass is a must. However, if you don’t think you’ll get your money’s worth out of a pass, snub the rail altogether and fly. Domestic flights in Japan are often really cheap, sometimes half the price of taking the bullet train to the same destination. Budget airlines and discount airfare companies like Jet Star, Star Alliance Japan Airpass, and OneWorld Yokoso/Visit Japan Fare are a much better alternative to costly rail travel. Japan is an awesome place to travel, and one of the nicest places in the world to be a tourist. People are polite and friendly, there is a good amount of English language information in the big cities, it’s safe and hygienic, travel is (usually) efficient and is just a beautiful place. 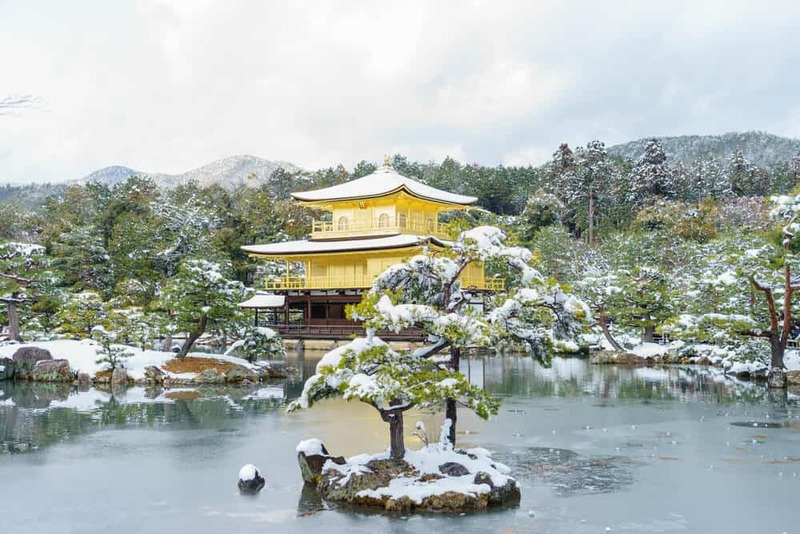 Hopefully this article has helped to shed some light on the impossible choice and you have a better idea about which season is suited to your Japan trip. Leave us a comment and let us know which season you think sounds the best!